You can put your trust in our experience. Powers of Attorney allow one person (the principal) to delegate powers to another person (the agent). When a person becomes incapacitated without a Power of Attorney, sometimes the only other option is to ask the court to appoint a conservator to manage the incapacitated person’s affairs. Conservatorships can be expensive and burdensome to maintain over the years. They are also less flexible and restrictive for such things as long-term care or tax planning. However, powers of attorney have their potential problems. They are the most common document used to financially exploit vulnerable adults. 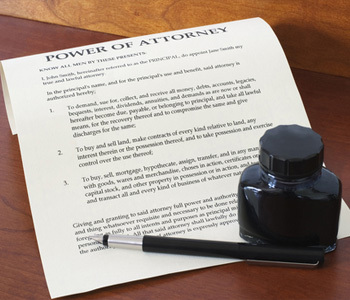 Consequently, a poorly-drafted power of attorney or unwisely selected agent can have devastating consequences. A well-drafted power of attorney will strike a balance between authority and control to prevent you from being exploited. It will also have detailed and clear provisions for various types of financial institutions and situations so as to increase the chances of the document being honored and accepted. The ElderCare Law Firm Inc. wants to use our years of experience to help you navigate powers of attorney and decide on the best plan for your situation. Contact us today to get started!